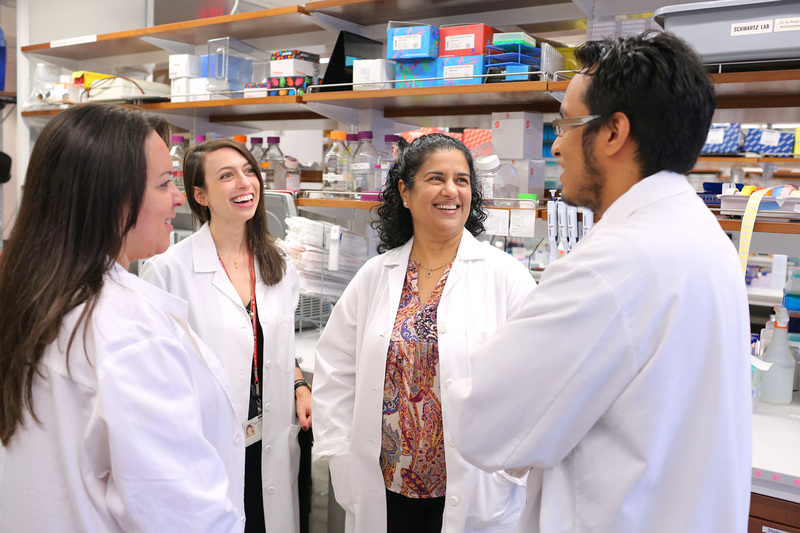 The Rajadhyaksha Lab, led by Dr. Anjali Rajadhyaksha, is focused on how calcium signaling mechanisms in the brain contribute to cocaine- and mood-related behaviors. This is of particular importance and high significance given the link in patients between the Cav1.2 and Cav1.3 genes, CACNA1C and CACNA1D, and neuropsychiatric disorders including bipolar disorder accompanied with high incidence of substance abuse. The lab is utilizing animal models in combination with highly innovative genetic, cellular and molecular techniques to identify the neural circuitry and molecular mechanisms to better understand how genetic predisposition can contribute to addiction and neuropsychiatric illness. Her group’s hope is that a better understanding of the brain at the molecular level will aid in therapeutic strategies for treating addiction and co-occurring mood-related conditions.